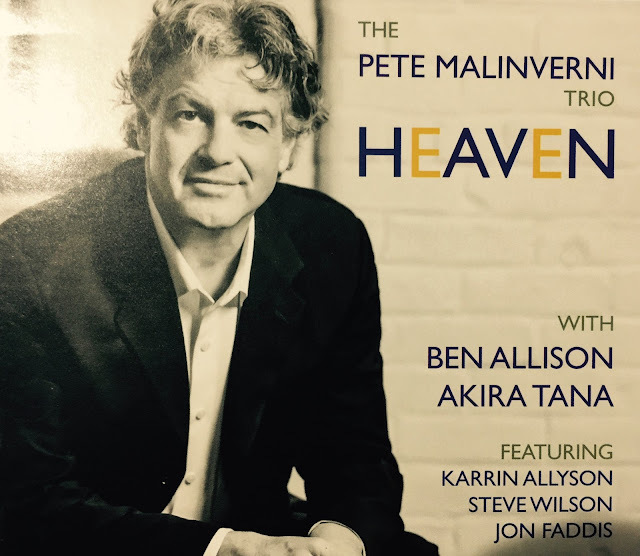 Music Man Blog: CD Review: The Pete Malinverni Trio, "Heaven"
CD Review: The Pete Malinverni Trio, "Heaven"
Pianist, Arranger and Composer, Pete Malinverni has a long list of varied and successful projects in the form of a trio, a quintet, solo piano, a big band and choir formats. With his newest release "Heaven", Pete as a result of unfortunate health and life situations involving his wife, singer Jody Sandhaus who died in 2012 along with his own health scare, decided that it was time to deal with some spiritual things. Pete says that going through these health ordeals over the past few years had given him a certain clarity that he wanted to embrace through his music. The album features songs that speak in varied ways of spirituality. Normally, I would not review a CD with such emotional and deep feelings, but the music and Pete's beautiful playing and arrangements just captured me. "Heaven" is a thoughtful and sensitive collection of songs that is inspiring and yet comforting at the same time. Malinverni says, "We all want to look up, we hope, maybe we even trust, that somewhere there is unalloyed truth and beauty. Much art memorializes tristesse, encouraging us to abide, to await Relief, Rest, or Joy. 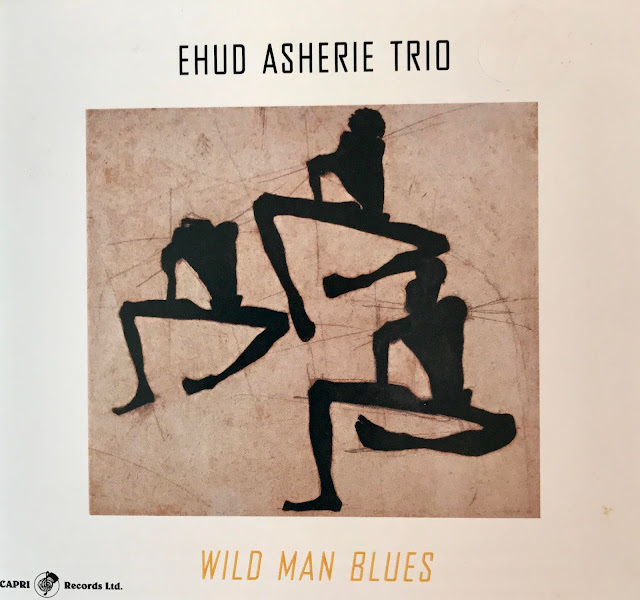 This recording is meant to reconcile those two perspectives, presenting music of various traditions with one thing in common - the notion that even this vale of tears is tinged with the essence of the transcendent, of the beautiful and the true". The wonderful Malinverni Trio consists of Pete Malinverni on Piano, Ben Allison on Bass and Akira Tana on Drums. The CD "Heaven" was release on June 16, 2017 and it's not to be missed by anyone who loves to hear fresh and creative inspirational music. Pete Malinverni is one of the most creative and unique Composer/Arranger on the American music scene today! It was very hard to pick just two songs from this CD for you to sample. I picked the first two cuts, first the title tune from the track, "Heaven". "Heaven" is a wonderful song written by Duke Ellington and "Palm23" is a Peter Malinverni composition that I fell in love with. I hope you enjoy both. Also featured on this CD is a wonderful soulful performance of "Shenandoah" by Karrin Allyson that is just about dead on perfect. Also adding to the party is Trumpet player, John Faddis and Alto Sax player Steve Wilson. 3. "Down in the River to Pray"
8. "A City Called Heaven"
9. "Wade in the Water"
CD Review: Josh Nelson, "The Sky Remains"